Friday 4th of September was a very exciting day for this little family of mine. It was the day that we finally reached twenty-four weeks pregnant and medical viability. What medical viability means, is that if Eden were to be born today, she would have a good chance of survival with medical assistance. Some people may say that’s a morbid thing to celebrate – indeed many people outside of the infertility community don’t realise that viability at twenty-four weeks is a thing. I think it’s wonderful. There was a very scary patch between about eighteen weeks and twenty-four weeks when I could feel her move and she constantly reminded me that she was there, but it’s always in the back of your mind that if something were to happen and she came early, she had very little chance of surviving. It almost feels a bit more real now. Several things have made it more real. The first time we saw her on ultrasound, then the first time she looked like a human (with limbs and stuff!!!) and then finding out she is a girl. I think that was what made it most real, because then she went from being a “maybe baby” of indeterminate gender, to being a little girl with a name. Now, knowing that she could survive outside of the womb with medical assistance means that we are that much closer to taking her home with us and starting life as mummies. So, how did we celebrate? Cake of course! 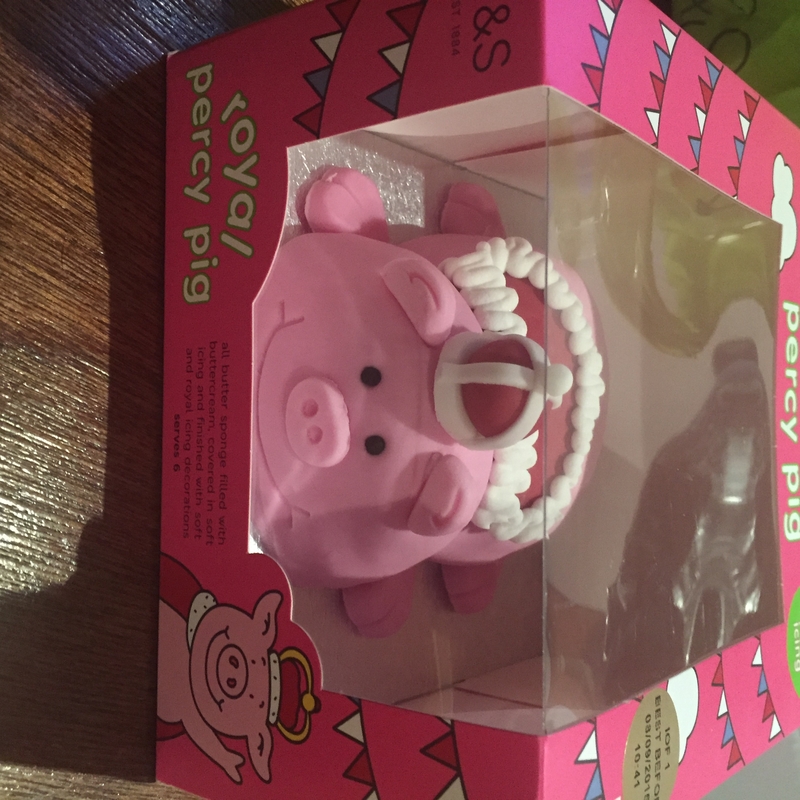 Those who know me know that any excuse for cake is good enough for me, so we purchased this rather regal looking Percy Pig cake. I have to be honest and say that we haven’t actually eaten him yet, but he looks delicious all the same! The plan was originally to go to the seaside for the day, but a dog in heat put the stoppers on that one and we had to stay home and be on “stop the dogs shagging” duty. Glorious! 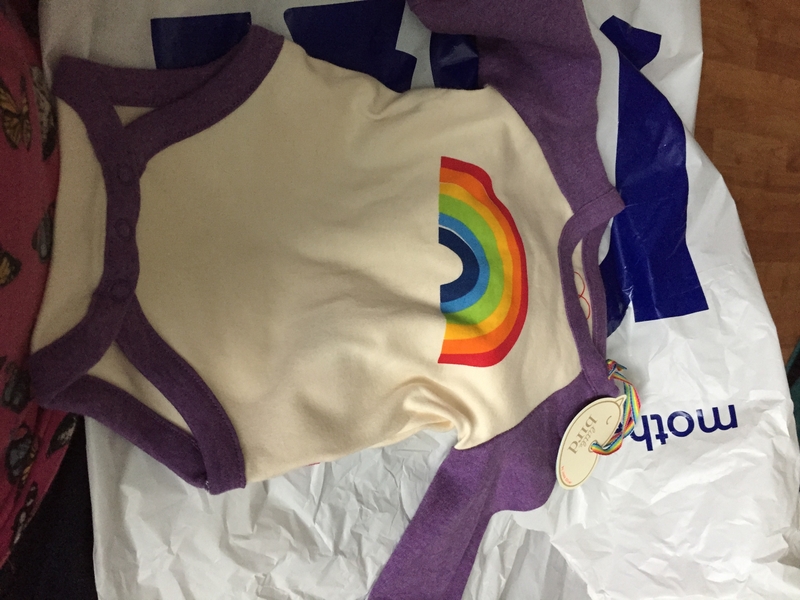 We did a little bit of shopping over the following days and as usual, Eden got some lovely things. So, that’s another milestone under the way. We are (hopefully) less than sixteen weeks away from meeting our little lady. I have my twenty-five week midwife appointment on Friday, which I am actually looking forward to. Makes a chance from the impending dread that I would have when I was under the other hospital. I know, going forward, that there will be no judgement with my current midwife – and it’s also nice to know that I will see the same person each time. I’m also starting to have what is clearly a baby bump (and less of a “burger bump”) which is awesome and terrifying at the same time! I’m wearing mostly maternity clothes and had to buy a whole bunch of maternity tops a few days ago. Stuff’s getting real… very very real! 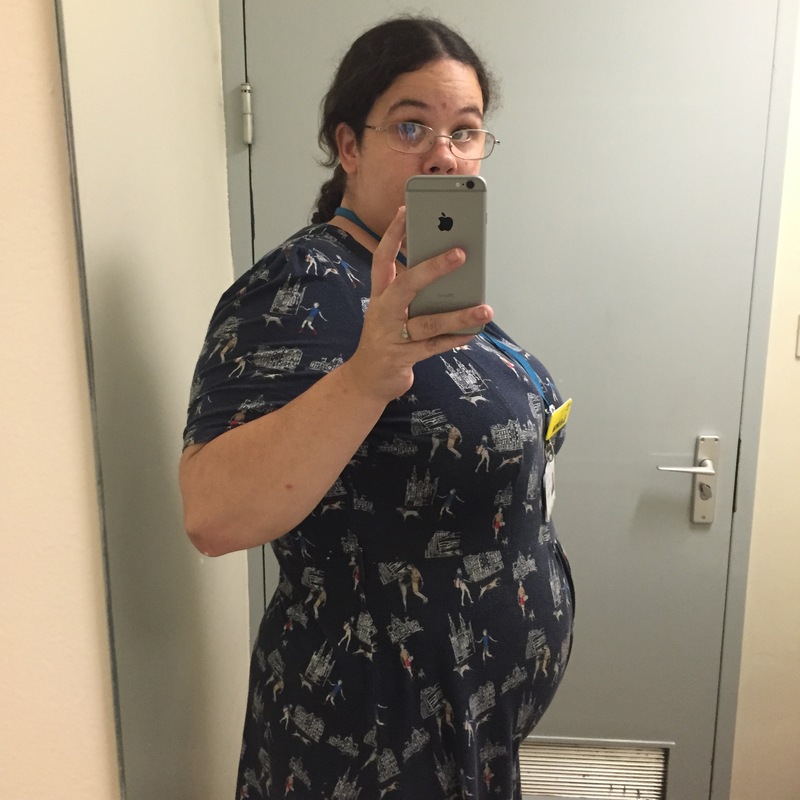 This entry was posted in 2015, 24 weeks, baby girl, viability and tagged 2015, baby, baby eden, first time pregnancy, lgbt, little girl, pregnancy, Second trimester, twenty four weeks, two mums, viability. Bookmark the permalink. Congrats – I agree 24 weeks viability is a great reason to celebrate – you look adorable! Cute bump! YAY! I never thought about the 24 week milestone before, but I agree, that is a fantastic reason for cake.